Having two young kids has made me a reader of children’s books again. And of course by reader I mean that I read these books out loud, over and over again. There is nothing that lets you really get inside a story the way reading it 50 or 100 times does, and there frankly aren’t many books that can stand up to it. A few do, though. 50 years ago today, Where the Wild Things Are was published. That’s my copy from when I was a kid, and I read it to Baki and now read it to Kaya. I love the simple intelligence of the story, and the rich illustrations; there is plenty of space in the story for your imagination to roam. So many children’s books seem to believe that children are idiots who don’t know when they’re being spoken down to or spoon fed pap. Well, maybe they do and maybe they don’t, but I sure do! 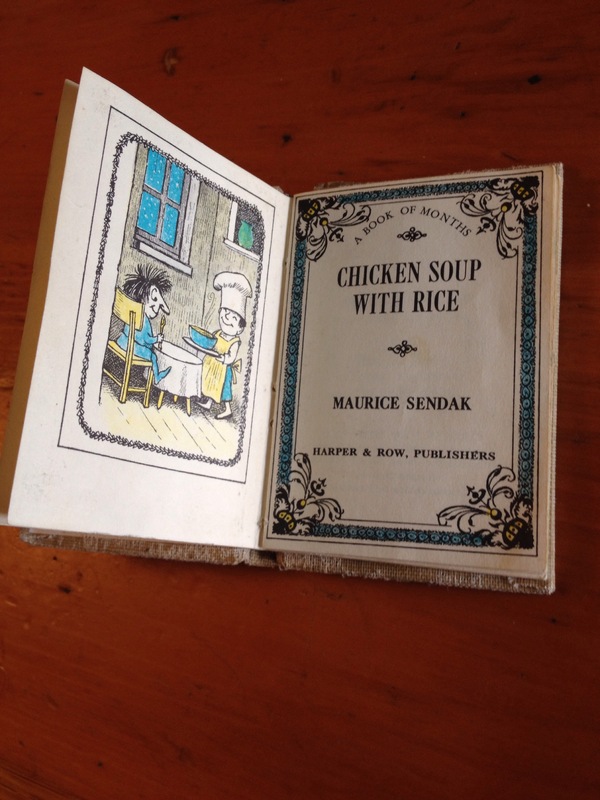 Maurice Sendak wrote so many wonderful stories, and they are great favorites of mine (In the Night Kitchen is my very favorite, but it’s in the other house, of course…). He did a great interview on Fresh Air, and there’s an illustrated excerpt here that is very sweet (and very sad – have a hanky ready…). Here’s to one of the greats, still wild after all these years. My daughter is 6 and starting to enjoy reading books herself, which is brilliant but making me savour reading bedtime stories all the more – realizing that it won’t happen forever. Always glad to hear of new books though, as I could recite some of our old favourites without the book. Hadn’t heard of this, looks fab. It is always exciting to have new material! I’m amazed at how kids enjoy hearing the same stories over and over again. I think that’s why the best stories are the ones that don’t spell everything out, but leave something up to the imagination. 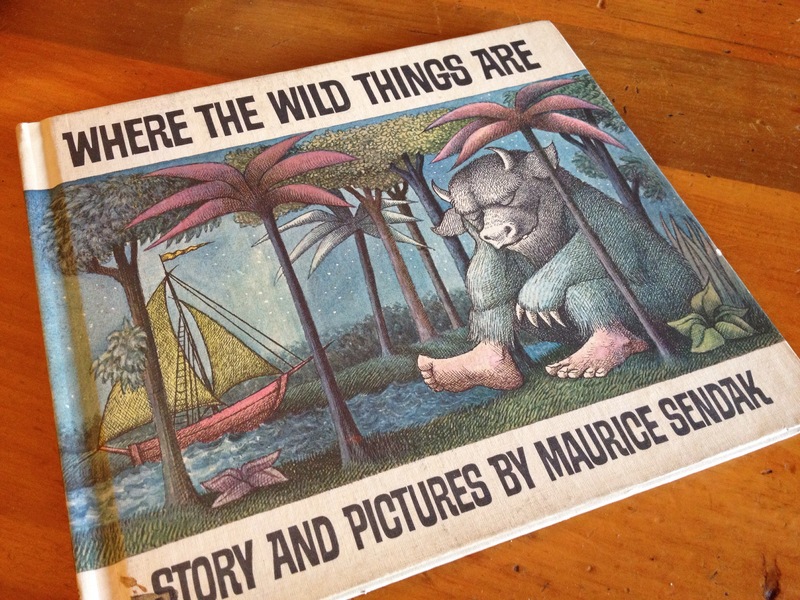 My daughter loved Where The Wild Things Are…timeless. Yay! I think it’s one of the greats. I love reading with the boys and I too have wonderful memories of my parents reading to me. We line our nests with books!